Microsoft Azure Stack arrives to hybrid cloud party… Or has it? This week's newsletter is all about this, that, and the other. In other words this issue is a mashup of different topics, a hodgepodge of miscellaneous knickknacks, a mixed bag of motley novelties and oddments, a grabbag of sundry items, a…guess I better put away the thesaurus lol. In this week's issue of FitITproNews talks about coping with stress, something most of us (especially IT pros) have to deal with and which can affect our health and level of fitness a lot. Thanks for this newsletter. I am looking for information about motherboard setup: UEFI, GPT partitioning, Hyper-V and Server Essentials 2016, and a TPM 2.0. I've used USBs from Rufus. I can't get the TPM to be un-recognized so I can start over. The thing seems locked up in "SUPPORT TURNED OFF". Join Microsoft MVP Derek Melber on Thursday December 7th, 2017 for this complimentary TechGenix Webinar to learn about the added security components needed to secure your essential data. Register today! Unfortunately this didn't resolve my problem, so next I tried lurking in some HP Support forums. A few people spoke of a registry change to address the issue but I was loathe to start messing around with settings that aren't fully documented. Then I found some instructions about disabling the Sensor Monitoring Service in Windows 10, so I tried that as it would easy to un-disable the service afterwards if needed. Well that didn't work either. So I continued digging around the underbelly of the Internet looking for clues what to do until I saw something that clued me into how I can change the properties of the NVIDIA GeForce display adapter in my laptop. Yes just right-click on the screen somewhere and select Display Options, then configure the performance settings and advanced display settings as needed. So I tried messing around with these settings and discovered that if I configured them a certain way my screen would no longer brighten or dim, hooray! However I then discovered that the function keys dedicated to increasing or decreasing the screen brightness now no longer work on my laptop. And the screen now seems to be set at maximum brightness and won't dim unless I *disable* the setting I configured in NVIDIA Display Options to disable automatic screen dimming! On prem and you lose your premises -- recover from the cloud. On prem and you lose the cloud -- keep going and find another backup location. Cloud and you lose the internet -- recover on prem. Cloud and you lose the premises -- relocate and keep going. If you're cloud and backup to the cloud or on-prem and you backup to your premises then you have a single point of failure. Our standard on prem backup solution is to a NAS and then differentials to the cloud. Our standard cloud backup solution is to the client's premises where we have a NAS to store it. Of course we only deal with small businesses. These techniques may not apply for larger business but the principles should. Hello, this year I started using your channel to keep me updated and I appreciate the sharing of information. My name is Sandro Alves of Netcenter Informática in Brazil. I will tell you a bit that you experienced in our sales of products and services, because our public all are small businesses. Most customers do not take all the data to the cloud, due to the first one: (lack of security certainty, lack of certainty of good internet quality and the final cost). Usually we do combined deployments, that is, the backup is performed locally and in the sequence is sent to the cloud, maintaining a lower retention. We already had yes, some clients that to not worry about the backup, migrated the entire service to Office 365, mainly advertising offices where people work at alternative times. This possibility excludes a large responsibility of the company's administrators. The issue is that in Brazil we started to notice this move to take to the cloud this year of 2017 and has grown with speed. Another important point that has been leveraging this market is the ransomware. Some companies come to us because of their concern about their data. 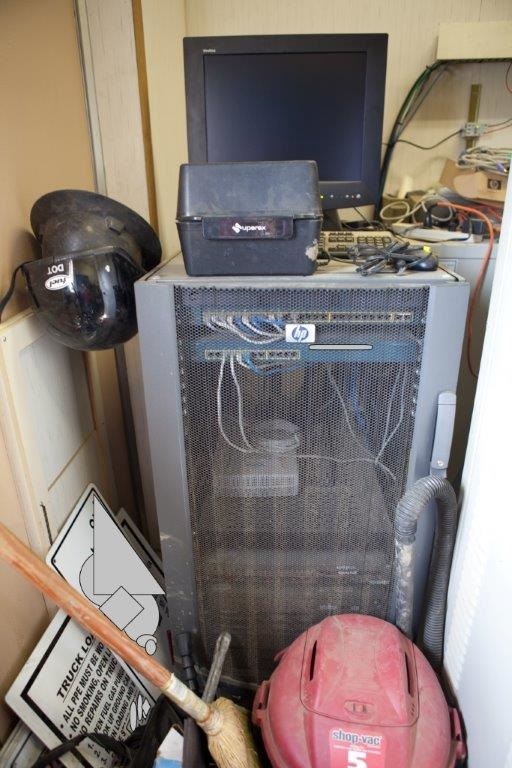 We had a case where the client was attacked twice and what he saved was the snapshot he made on his servers. Days later he called, asking for a budget to deploy a replication backup. Taking advantage of this critical time to offer opportunities, which reduce administrative costs and ensure better security, is a good sales opportunity. PS: Sorry for my translated English. Feel free to correct, thank you. But do I really need to install all this stuff to protect my privacy as I browse the web? The same web dev who told me about canvas fingerprinting also said that in all the companies he's worked for he's never seen a company that's tracking for malicious purposes, only for improving user experience. But isn't the reason companies try to improve user experience is so you'll buy more of their products and services? Manipulation is still manipulation, isn't it? Whether you're new to Azure or already a cloud professional, training is one of the best investments you can make in your career. Enrich your technical skills with free, online, hands-on training, and get your expertise recognized with great deals on Azure certification. If you want to improve data security in your organization, watch this course for details on Windows Event logs, which are used to help correlate and prove that certain actions occurred and were triggered by specific individuals, groups, or IP addresses. You'll get a look at the Windows Event architecture, log structure, and what actions should be monitored to improve your security. Don't miss this practical enterprise security course. Watch here. CompuServe's forums, which still exist, are finally shutting down. When was the last time you used CompuServe, Prodigy, AOL, or one of the other early "walled gardens" on the Worldee Widee Webbee? Do you miss them? I used to be one of the first 1000 paid members of AOL and frequently used their internet gateway. I subscribed to Kim Komando's column/forums area and offered advice to other members. I won great stuff nearly every month for my participation and have lots of certificates still in my collection. I see her face online now and wonder how she really looks? Plastic surgery? Trivia - AOL distributed thousands of CDs here in Brazil when they started, same as in the USA. The first batch was pressed by a third party and they accidentally mixed the whole batch, sending out music CDs! AOL promptly failed in Brazil! Question: How do you feel about big bright LED billboards when you're driving at night? Personally I find them blinding at times and am always afraid I may miss something like a pedestrian when one of these billboards temporarily blinds me as I'm driving. Should there be laws controlling the placement and brightness of such billboards? The new CloudShare VM Import tool lets you can quickly and simply migrate VMware and Oracle VirtualBox virtual machines to the cloud. Microsoft 365 Business combines Office 365's productivity and collaboration tools with plenty of new tools for device management and security. This article walks us through the migration of a Cisco Email Security Appliance from an employing physical infrastructure to using a virtualized one. Rules defining digital ownership will dictate how the data-based economy evolves. CIOs should get ahead of data asset management before competitors write rules to their advantage. As VMware's hybrid cloud strategy advances, OpenStack continues to build out a rich portfolio of services, which revives comparison between the two platforms.